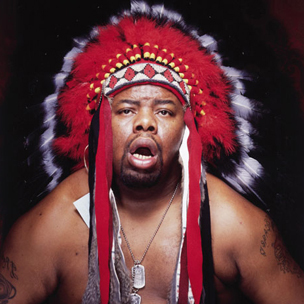 From Juice Crew battles to landmark lawsuits, the legendary Biz Markie has witnessed it all in his lengthy Hip Hop career. Now, in a recent report from AllHipHop, the Clown Prince of Hip Hop recounts the time he had an encounter of the paranormal variety. In an upcoming segment of Biography’s “Celebrity Ghost Stories,” the Markie Kidd recalled his experience with a ghost in his childhood. He explained that he encountered the spectere while a retieving a midnight snack, and the experience left him shook. This episode of “Celebrity Ghost Stories” in which Biz Markie is featured will air tonight on Biography at 9 PM and again tomorrow at 1 AM.